Tayyaba Bano and known as the ‘Queen of Sentiments’ was remembered on his 24th death anniversary on Thursday and tributes were paid to her by the electronic and radio channels for her effective role in film industry . According to a private news channel, Sultana was known for her tragic portrayals on screen in majority of the films she appeared in during the course of her career. 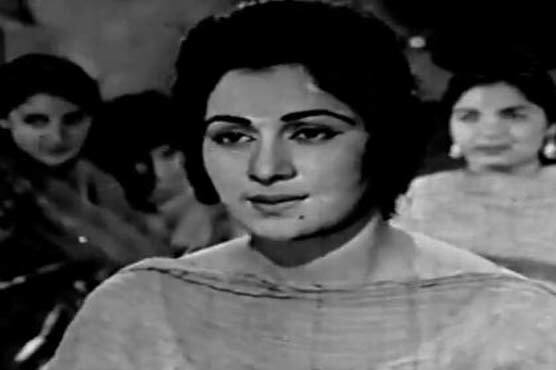 She worked in at least 225 films within a period of 37 years after she was launched by Anwar Kamal Pasha in “Qaatil” in 1955 as a supporting cast. The entertainment celebrity, who contributed to the golden age of Lollywood, as declared by many, was born in Aligarh of then British India in 1937. After completing her education at a women’s college in Aligarh, she migrated to Karachi along with her family following the Indo-Pak separation. Different directors and film personalities advised Sultana against her decision to get married to one of her co-star, Darpan at the peak of her showbiz career. However, she went ahead with the decision and married one of the most adored lead male actors of his time and quit the industry. But late Sultana came back though her films did not leave an impression at the box office. After demise of her husband in 1981, she managed his recruiting agency for how long she could. She died on 27th October 1992.